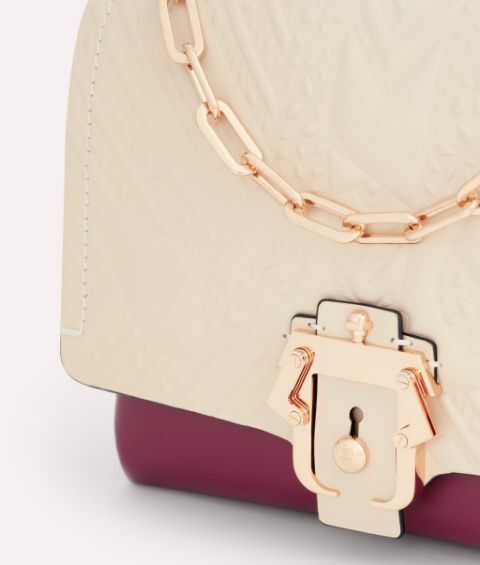 The ladylike Alice Petals is reimagined in a vivid explosion of colour. 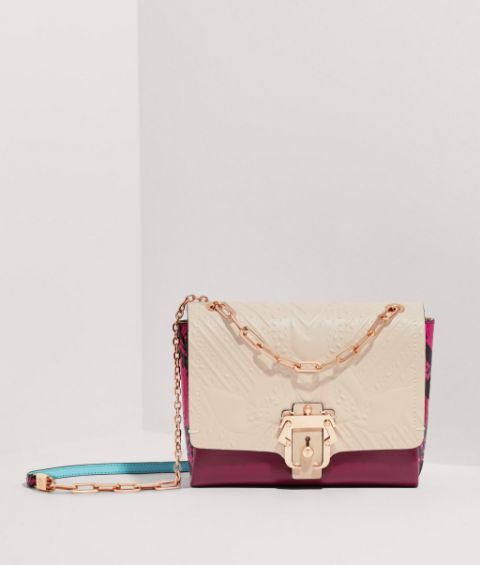 This structured design features an embossed beige leather top flap and burgundy body, punctuated with a daring flash of neon pink elaphe skin on the sides and the shoulder strap. The gold tone chain strap can be worn at two different lengths, allowing you to express your individual style. 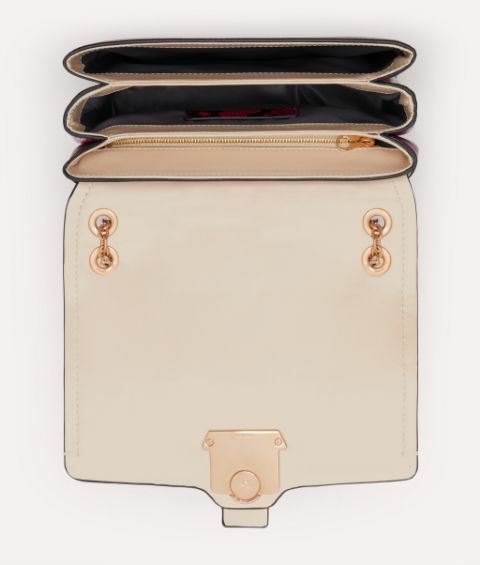 As always, the polished Paula Cademartori buckle emblazons the front for a contemporary finish.